THE month-long siege of Aleppo by forces loyal to Syrian President Bashar al-Assad may have suffered a setback, with rebel groups claiming to have broken through to opposition-held areas in the east of the city. Although pro-government media outlets denied the claim, there was heavy fighting in the area. One rebel group said in an online statement: "Fighters from outside the city met their brother fighters from inside the city, and work is under way to establish control over remaining positions to break the siege." Reuters also reported that another rebel commander had confirmed the breaking of the siege, but conceded matters were "not easy". 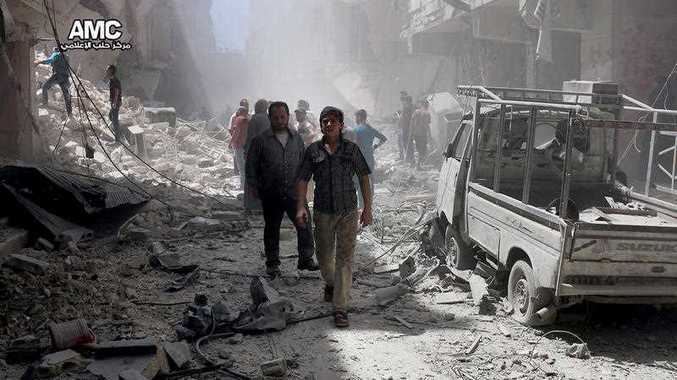 About 500 combatants and more than 130 civilians have reportedly been killed in Aleppo in the past week.